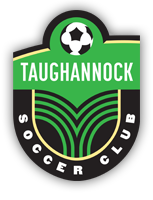 To acknowledge the contributions of time and talent that are given to meet the objectives and goals of the Taughannock Soccer Club (TSC), the Board of Directors have decided that it is fitting that remuneration be offered or paid to coaches of Club teams. Acceptance of remuneration is solely at the discretion of each coach, whose time and talents can still be donated to the Club membership without compensation, as has been the practice since the creation of the Club. Where two people are involved in coaching a team, this policy applies to the head coach; the person who either has more training and experience or the one who puts in the most time coaching the team. Remuneration can be split between two coaches with comparable abilities, but full remuneration will not be offered to both coaches of a single team. Parent-Coach for recreational soccer program or an inexperienced parent-coach for a travel soccer program: A parent coach is a parent volunteer, who coaches a team on which his or her child is a player. The program fee for up to two of the coach’s children on the team shall be waived. For indoor competitive soccer, $50 of the fee(s) for the coach’s child, or for each of up to two children, will be waived . The waived fee will be equally divided among the remaining players on the team. Inexperienced Non-parent Coach: An inexperienced non-parent coach is an individual, who has coached a travel team for fewer than three seasons and does not have a Coach’s E Certificate, which has been acquired through a NYSWYSA or other certified program. Such a coach will be paid a minimum of $200. Experienced Coach (whether a parent of a player or not): An experienced coach is one who holds at least a Coach’s E certificate through a program offered by NYSWYSA or other certified organization and has coached competitive soccer teams for at least two seasons. Such a coach will be paid approximately $500, the actual amount of the fee will be determined by the Board of Directors and will depend on the number of years that a person has coached and on the age-group of the team. If the coach is also a parent of a player(s) on the team, in addition to this remuneration, the program fee will be wholly or partly waived as described above for a “Parent-coach”. Membership fee is an annual fee paid to join the Club. Membership entitles a player to participate in one or all of the programs sponsored or facilitated by the Club; each program will have its own associated costs. Program fee is the fee that is assessed to each player to participate in a particular soccer program, including the Tompkins County Fall Travel League, the indoor soccer program at The Field, and the Broome County Spring Travel League. The program fee does not include the Club membership fee or the fee for a player’s pass (when required); both of these fees must be paid by each player. The program fee covers the league fee, referee fees, and the TSC field and equipment fee.